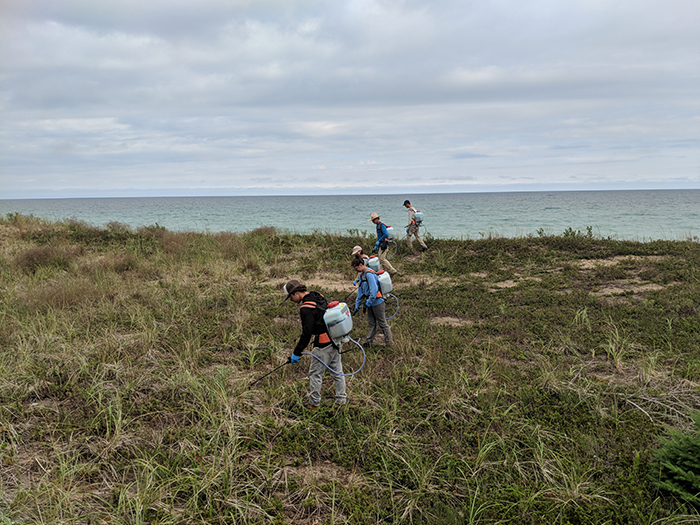 Baby’s breath may sound like a bright spot in a long list of harmful invasive species, but the popular addition to floral bouquets threatens the Great Lakes’ iconic dunes. 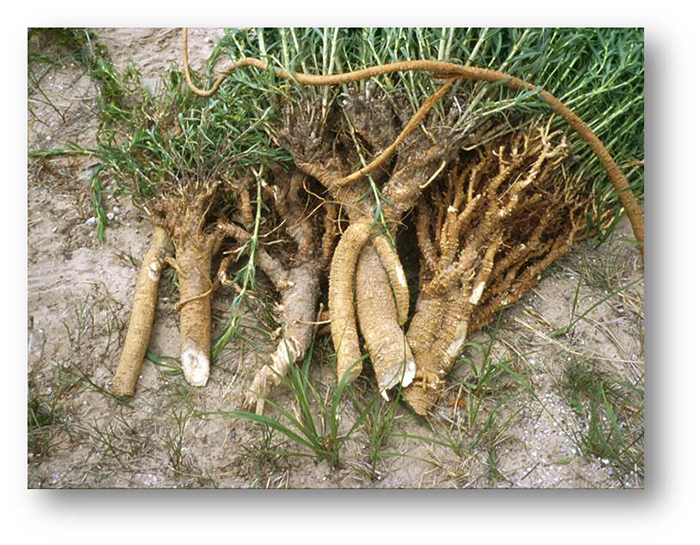 The federally threatened Pitcher’s thistle fails to thrive near baby’s breath, though the reasons aren’t fully known, said Charlyn Partridge, another researcher and a professor at the Annis Water Resources Institute. 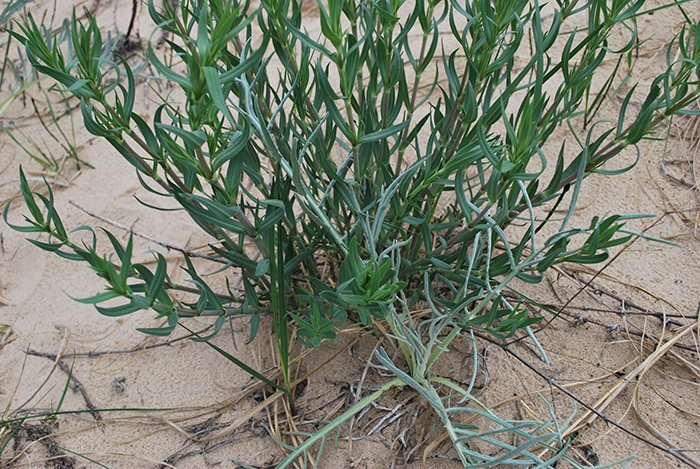 It could be that blowing sand helps Pitcher’s thistle germinate or that baby’s breath better grabs nutrients from an ecosystem with few to spare. 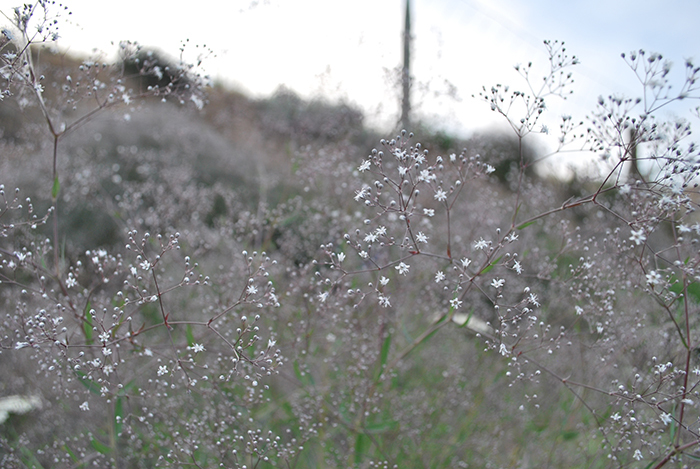 However it happens, baby’s breath is bad for Pitcher’s thistle. 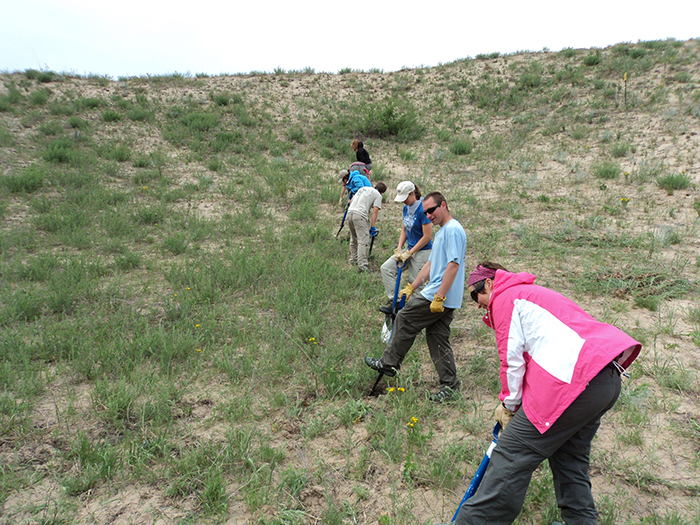 It also replaces open sand and stone patches that endangered piping plovers require to nest. Howard knows of one location that hosted a new piping plover nest just a year after it was cleared of baby’s breath. When the dunes are restored to their original open state, they can host piping plovers once again. Baby’s breath growing in Petoskey, Michigan, is more closely related to that in Washington state than that growing less than 100 miles away in Sleeping Bear Dunes. This was so interesting for we local residents living near Sleeping Bear. I knew Baby’s Breath was invasive but learned more about it’s growth habits and anatomy.